Recognizing excellence in all areas of design enterprise, the Core77 Design Awards celebrates the richness of the design profession and its practitioners. For our second year, we present 17 categories of entry, providing designers, researchers and writers a unique opportunity to communicate the intent, rigor and passion behind their efforts. From client work to self-initiated projects, entrepreneurial to pro-bono engagements, we embrace a wide diversity of enterprise: commercial, cultural, social, environmental and discursive. For 17 years Core77.com has provided a gathering point for professional designers and design enthusiasts. They publish articles, host lectures, create exhibits and design competitions, and offer databases and forums used by the entire design community. 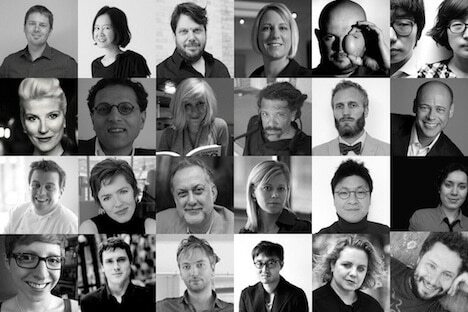 It’s an honor to work with such a terrific group of jurors for one of the design community’s most high-profile awards. Want to win? You can start by watching the video below, then registering! 1 Pings/Trackbacks for "Core77 2012 Design Awards: On The Jury"